Extreme temperatures and harsh weather conditions are not foreign concepts to Green Bay. 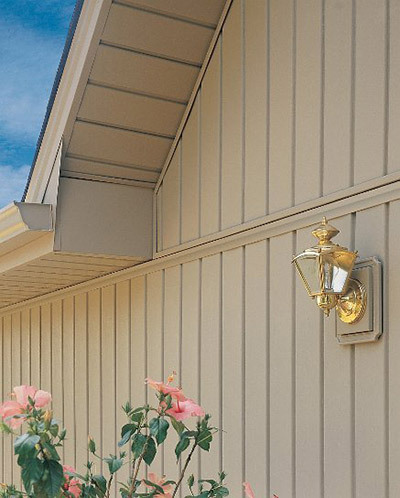 You’re going to want your siding to be able to handle itself during all four seasons. 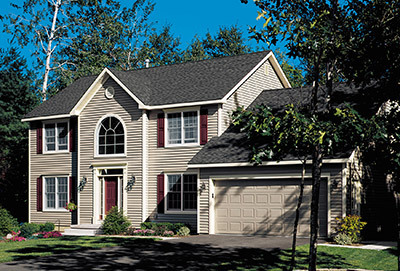 Feldco has you covered with our pure, virgin vinyl siding. It’s extremely durable and resistant to warping, cracking and splitting. You won’t have to worry about painting or staining your siding either. That means you’ll be delighted with your purchase for years. 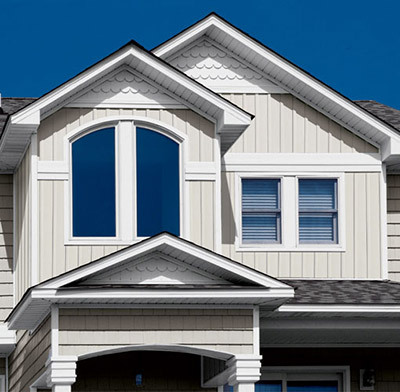 To top off our exceptional siding, Feldco’s professional installation team will have your home looking gorgeous and improve your energy efficiency in no time – they are among the best in the industry! Their efficient, detail oriented approach to siding installation will result in quality craftsmanship and your home will be the envy of the block. Feldco is the Best Siding Contractor in Green Bay! Feldco has been working on exterior home improvement projects in the Midwest for 40 years. With over 350,000 delighted customers, we have proved to be one of the best in our industry. We can confidently say our siding is the best low maintenance and beautiful option in the market. It is also energy efficient, saving you money on your energy bills and improving the comfort of your home year round. We are confident from day one until installation day, that our team will exceed your exceptions as the most professional siding installers in Green Bay. 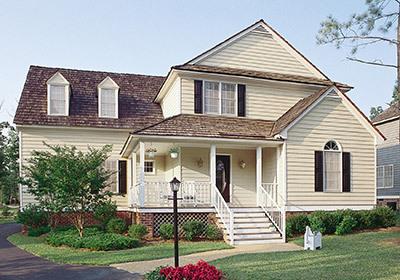 There are many styles of vinyl siding. Our Product Specialists will help determine which best fits your home. Multiple styles can be combined to create a completely custom look for your exterior. 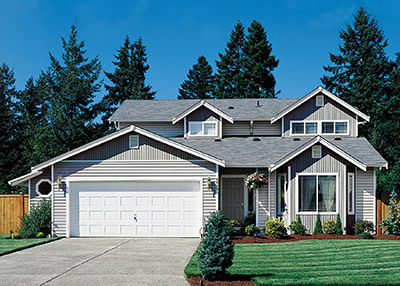 When most people think of vinyl siding, the first thing that comes to mind is double four siding. This common design gives your home a clean profile and is a great option for updating its style. Double four also comes in many colors so you will be able to completely customize your home. Dutch Lap siding shares many of the benefits of double four but adds a more dynamic look. There is a decorative groove in the siding which adds dimension to your home. The grooves also improve durability. Board and Batten siding creates a unique look with vertically laid siding with altering widths. It develops interesting vertical lines that add depth to your home’s exterior unlike any other siding choice. This is a quick way to improve your curb appeal and stand out among the other houses in your neighborhood. Vertical siding emphasizes architectural elements of your home not often accented. This is done by using vertical lines as opposed to horizontal ones. Vertical siding is easily combined with other styles to create a unique look. Much like vertical siding, shake siding looks fantastic combined with other styles or can be beautiful completely on its own. It is made to resemble traditional cedar shingles for a different look compared to the other options. 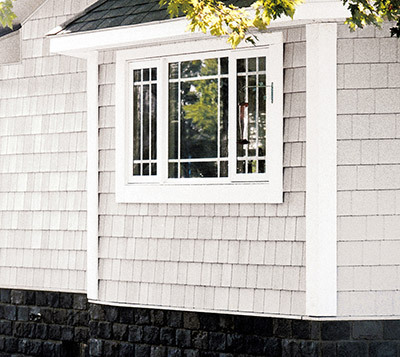 Shake and shingle siding is a great way to improve curb appeal with its decorative design. 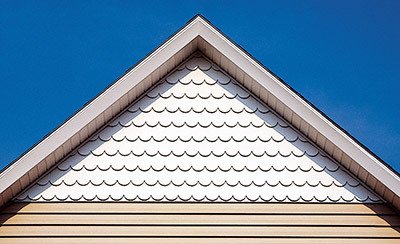 Unlike any other style, scalloped siding creates an elegant look by using curved patterns rather than the typical straight lines. It is most often used in smaller areas to accent the rest of your home. It looks great when combined with other styles of siding. Looking to complete your home’s facade? 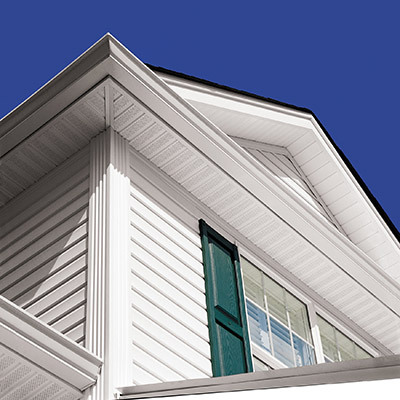 Look no further than soffit and fascia. They are a great way to provide a beautiful finish to your home’s exterior. Soffit is usually found under eaves or extended rooflines and provides excellent ventilation for your home. Fascia acts as a trim to further improve your curb appeal. Feldco’s installation team is among the best in the business which means we will take the appropriate steps to protect your property- we will treat your home with the utmost respect. We will remove the old siding and install the correct siding properly. It comes down to focusing on the details which is something we pride ourselves on. Our goal is to delight every customer with our professional installation and beautiful products. With over 40 years and 350,000 homes worth of experience, we can confidently say that we have the knowledge to assist you in picking the best siding to improve your home’s exterior. Whether you are trying to accent a small section of your home or considering a complete overhaul, Feldco is the right choice for your replacement siding needs.